The name extra medullary means outside the bone marrow at any site of body. Hematopoiesis means formation of blood cells. So in this disease, the cell start forming outside the bone marrow of bone. As in case of pregnancy, the blood cells start forming at different sites in body other than bone marrow for the development and formation of fetus. But most of the time this condition occurs as a result of any abnormality in bone functions as in case of thalassemia. It can occur at different sites of body like liver, spleen, thymus and lymph nodes. The following signs and symptoms are associated with extra medullary hematopoiesis. Splenomegaly: when it occurs in spleen, patient may feel full in the upper part of spleen and under the ribs of left side. And also experience pain in the upper part of left shoulder. And sometimes the symptoms also appear due to the suppression of functions of nearby organs due to extra medullary hematopoiesis. Fibro hematopoietic tumors also occur. There may be many pathological and physiological factors behind extra medullary hematopoiesis. It is normal in the state of pregnancy, as blood cells are required in the formation of fetus and also in its development. This condition occurs in response to thalassemia to replace the defected blood with normal fresh blood or to fulfill the decreased concentration of blood in body. It also occurs as a result of any injury, trauma, anemia, myelofibrosis and other myeloproliferative disorders like polycythemia Vera, myeloid metaplasia, essential thrombocytosis and haemoglobinopathies like sickle cell anemia. When extra medullary hematopoiesis occurs in any organ, the organ increase in size i.e. visceromegaly. Most commonly it is seen in liver and spleen representing hepatomegaly and splenomegaly respectively. Sometimes it occurs in lymph nodes. So to diagnose them out, the following techniques are used: computed tomography scan, ultrasound and Magnetic Resonance Imaging. When extra medullary hematopoiesis occurs in thorax region, it will be shown as posterior mediastinal mass. These masses may be shown unilateral, bilateral, sharp or smooth and sometimes lobulated margins.Extra medullary mostly do not effect lungs, GIT, pleura, skin, breast, kidney and adrenal glands. 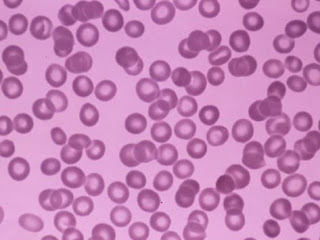 The techniques used to diagnose extra medullary hematopoiesis site and concentration of blood at that site. Also the size of organ is checked showing extra medullary hematopoiesis. The most commonly used technique is the CT scan. But if these techniques don’t work then biopsy is another method of diagnosis in which a tissue of the effected organ is taken out from body and examined under the microscope. The differential diagnosis associated with extra medullary hematopoiesis is neurofibroma, neurogenic tumors, malignant nerve sheath tumor, chordoma, aortic aneurysm, esophageal neoplastic anemia, hernias and paraspinal abscess. Treatment of Extramedullary hematopoiesis mainly depends upon causative agent or factors but it may me physiological state of body like in case of pregnancy. Extramedullary hematopoiesis itself is not a disease but it indicates some pathological process like thalassemia etc.